It is official, bonafide and true! 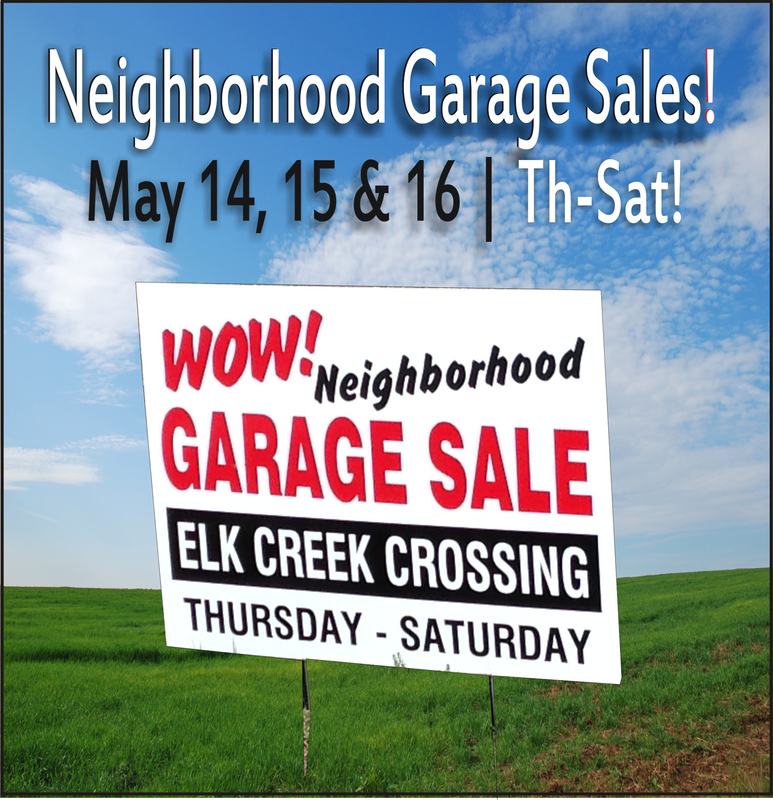 Elk Creek Crossing Neighborhood Garage Sale dates are Thursday-Saturday May 14, 15 & 16th. Ads are scheduled to be published in the Omaha World Herald and on Craig’s List. Previous Breaking NEWS! ECC Easter Egg Hunt Video Release!